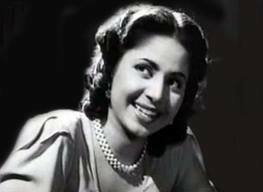 Today is the 50th death anniversary of Geeta Bali, the lovely, versatile, natural, spontaneous but underrated actress of the fifties. Born in Sargodha, Punjab in 1930 as Harkirtan Kaur, she lived with her parents and a sister in Amritsar. Her father was a Sikh scholar and a singer and he encouraged both his daughters to learn classical music, dancing and horse riding. Their family moved to Mumbai sometime in the forties and a young Harkirtan Kaur started working in movies to supplement the family income, first as a child actor and later as a lead actress. Despite a short career (that spanned hardly some 15 years or so), she managed to carve a niche for herself. Natural, spontaneous, cute, comic and lovable, it is incredible that Geeta Bali is well-known despite her not having that many A-grade movies or having such a short lifespan. 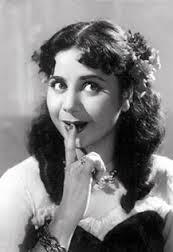 Her acting in movies like Baazi, Baaz, Jaal, Anand Math and Baawre Nain is remembered till date. In 1955, she married her co-star from movies such as Rangeen Raatein, Miss Coca Cola and Coffee House, the then-struggling actor and soon-to-be superstar, Shammi Kapoor. They fell in love during the shoot of Rangeen Raatein. 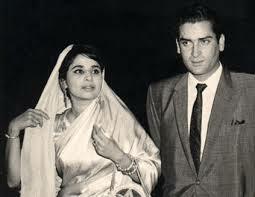 Shammi Kapoor was not sure whether his elder brother and father would approve of this match (Geeta Bali was an year older than Shammi and had starred opposite both Raj Kapoor and Prithviraj Kapoor); so they got married in a temple with the producer-director, Hari Walia as a witness. After marriage, Geeta Bali continued to work – though not as frequently as before, balancing work and family. She acted in Jailor in 1958, a movie that is considered one of her finest performances as she played a blind girl. She fell ill with small pox during the shooting of the Punjabi movie Rano (based on Rajinder Singh Bedi’s novel – Ek Chaadar maili si) Despite the best care, she did not recover and died on January 21, 1965. Rajinder Singh Bedi (also the director) shelved the movie after Geeta Bali’s death and never made it again. He mentioned much later that he kept the book on her funeral pyre and let it be burnt. Geeta Bali left behind her husband Shammi Kapoor and their two small children. Geeta Bali was only 35 years old. Here are my favourite songs picturised on Geeta Bali, in no particular order. The list is restricted to 5 songs because of real life time constraints. 2) Tadbeer Se bigdi hui taqdeer bana de (Baazi, 1951, Geeta Dutt, SDB): This song has crept into many previous lists and finds its way here too. Baazi was a landmark movie – one of the first successful crime thrillers, it had many big names associated with it. Produced by Navketan films and directed by Guru Dutt, the screenplay and dialogues were by Balraj Sahni. It starred a very young Dev Anand and Geeta Bali. In this movie, Bali plays a dancer. The lyrics by Sahir Ludhianvi and the music by SDB are remembered to date. This particular song was a ghazal which was turned on its head into a club song by SDB; Sahir’s consternation can only be imagined. 3) Dil Dhadke Nazar Sharmaye (Albela, 1951, Lata Mangeshkar, C.Ramachandra): This one from a movie that had brilliant songs, one after another, which made my choice more difficult. I was torn between this and my favourite song from this movie, that peppy Shola jo bhadke, where she looks absolutely lovely. I picked this song because it is a solo and the focus is only on her. Bhagwan is very much there playing the guitar, but this song is Geeta Bali’s. Lata Mangeshkar sings this melodious number written by Rajinder Krishen and composed by C. Ramachandra. 4) Hum pyar mein jalne walon ko (Jailor, 1958, Lata Mangeshkar, Madan Mohan): This movie is considered one of Geeta Bali’s finest performances. Sohrab Modi plays the title role – that of a jailor who was benevolent and rational but turns into a tyrannical despot after his wife leaves him and their daughter for another man. A remake of the 1938 film of the same name, Geeta Bali plays the role of a blind girl who helps him mend his ways. Geeta Bali won plaudits for her performance and many were of the opinion that she should have bagged an award for the same. 5) Vande Mataram (Anand Math, 1952, Lata Mangeshkar, Hemant Kumar): Based on Bankim Chandra Chatterjee’s novel (Anandamath) that depicted the Sanyasi rebellion of the 18th century, Anand Math starred Prithviraj Kapoor, Bharat Bhushan, Geeta Bali and Pradeep Kumar and was Hemant Kumar’s first musical score in Hindi cinema. The songs included this version of the country’s national song by Bankim Chandra Chatterjee and a wonderful bhajan Jai Jagadish Hare, taken from the Dashavatar Stotram that comprised the first part of the epic 12th century poem Gita Govinda. As I end this list, I realise that most of the songs listed are sad, plaintive numbers. Not what I associate with Geeta Bali. She will always remain a vibrant, happy, bubbly actress to me. So, as a last minute addition, here is a lovely, romantic Manna Dey- Suman Kalyanpur duet from her last film, Jab Se Tumhe Dekha Hai (1963). Yeh Din Din Hai Khushi Ke is picturised on Pradeep Kumar and Geeta Bali. It also has a bumbling Agha in the song. A sweet song where Geeta Bali is happy! This entry was posted in Old Hindi songs and tagged Anandamath, Balraj Sahni, Bankim Chandra Chatterjee, C. Ramachandra, Dev Anand, Ek Chadar Maili Si, Geeta Bali, Hemant Kumar, Lata Mangeshkar, Madan Mohan, Manna Dey, Pradeep Kumar, Prithviraj Kapoor, Raj Kapoor, Rajinder Krishen, Rajinder Singh Bedi, Sachin Dev Burman, Sahir Ludhianvi, Shammi Kapoor, Suman Kalyanpur. Bookmark the permalink. Harini, Geeta Bali is one of my favourite actresses. Thank you for this post. Love all the songs you have listed here, with a soft spot for Chandni raatein pyar ki baatein. 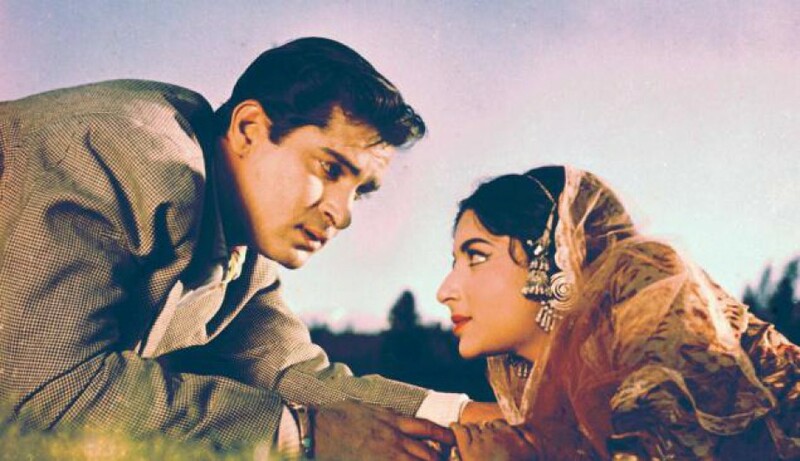 I don’t know about Shammi being afraid of Raj Kapoor – it was after all their house that he took Geeta Bali to, and Raj and Krishna Kapoor had the difficult task of breaking the news to their parents. Thanks, Anu. Chandni raatein pyar ki baatein is one of my favourites too. I also like Saari saari raat teri yaad satayein & chale jana nahin (Dulari) and would have included these had I continued the list. Other songs would have been Teri kaafir nigah or Jhuka jhuka ke nigahein (both from Miss Coca Cola) and Kahan chali cham se (Mr India). I had read somewhere that Shammi Kapoor was afraid of Raj Kapoor. He took Geeta Bali to their home, at a time when Raj was not at home and then asked Krishna to first convince Raj. That she did and then Raj and Krishna Kapoor went to their parents to break the news. Very nice list, Harini! (And you’ve tempted me to watch Jailor – I love that song, but had no idea what the film was about. Sounds very good). Talking about peppy songs picturised on Geeta Bali, my two favourites are Jaate ho toh jaao par jaaoge kahaan from Milaap, and Chanda chaandni mein jab from Mujrim – one of my the first instances I can recall of an item song featuring someone who had been a fairly prominent leading lady, not ‘just a dancer’. Thanks, Madhu! Chanda chandni mein jab chamke had completely slipped my mind – had forgotten that it was picturised on Geeta Bali. But yes, it is a lovely song. Pingback: Carnival of Blogs on Golden Era of Hindi Film Music – February, 2015 edition | The world is too small? or Is it?